I’ve been down a bit lately. Not depressed, just sad. Why? The Corn Man is gone. When he was around I know I took him for granted. I probably only bought from him about one night each week, but it was a pleasure to hear him every day. He arrived at our apartment complex at different times each day, but if you were home, there was no missing him. He would stand out behind the apartment building and holler that he was there. He always yelled in Spanish so I have no clue what he was saying, His voice was always hoarse so it probably was hard to understand Spanish speaking or not. Despite not understanding what he said, his voice was as comfortable as curling up under an afghan on a cold winter night. The days I did choose to buy from him it was exciting to run down to the first floor to find him parked out back. There was no missing his rusted red, beat up truck. He had plenty of items to sell. Toys and trinkets hung down inside his truck. Mexican treats were available too. But, I didn’t care at all about any of that junk. All I ever wanted was some of his corn. Hmmmm, his yummy decadent corn. It was fun to watch him fix my corn. He’d reach into his cooler and grab a warm piece of corn on a stick. He then would spoon some kind of concoction all over every bit of the corn. Sometimes a little would splatter on me, I couldn’t imagine complaining ,though, afterall he was making me one of his beautiful masterpieces. I have no idea what the first thing he was smearing on my corn. Someone once told me that it was mayonaise with a bunch of other flavors added to it. I’m not sure if that was true. It didn’t taste like mayo at all. Probably only the Corn Man really knew. Now it was time for the butter. He would lather the corn completely in a melted delightful buttery mess. The final thing he did before handing the corn over was to sprinkle just a smidgen of ground peppers on it. He would ask me twice each time I told him I’d like the peppers on it. My guess is it probably was too much for most gringos, but to me it was the icing on the cake. I never knew how much he would charge me. That was part of the excitement. One day he would charge me $5.50 and the next day it would be $2.00. I don’t know why there were such fluctuating prices. I guessed it probably had a lot to do with how much gas he needed to get home that evening. Finally, the best part. After paying for it, he would hand the corn over and immediately butter would start sliding off the corn onto my hand. The only way to make it back to your apartment without leaving piles of butter trailed behind you was to lick some off the top of your hand and then run like crazy to the kitchen. This was not a product that you’d consider eating on good furniture or over carpeting. It had to be eaten while standing up in the kitchen. Oh it was so delicious. Half the butter would slide down into my beard as I ate it, but I didn’t care. It was impossible to put down. It only took minutes to eat it, and that always made me hunger for more but he’d be gone. Off to another apartment complex yelling his gibberish to let the tenants who lived there know it was their turn to buy some corn. I don’t know what ever happened to the Corn Man. Did the health department finally catch up with his truck? Did he slip on butter and has been in a coma ever since. I like to think more positively about it. Maybe he earned enough to get a home in Beverly Hills or Bel Aire. 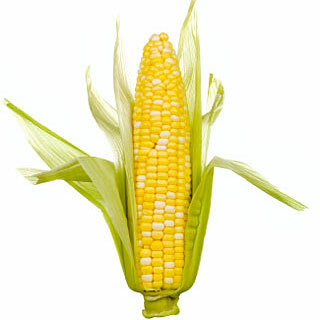 I don’t know where you are Mr. Corn Man, but I hope to hear you yelling gibberish again. You will always have a special place in my heart. I will always hope that one day you will return. Actually, it was supposed to go out tomorrow. Not only that – I can’t even see the post that you and others are looking at. Does it say “Throwback Thursday” at the top? Right above the picture of the corn. I hope you get to feeling better and I love you story about the corn man! Thank you! I’m doing AOK now, Brenda. I’ve recovered from losing him. This post now has a special place in my heart, Bradley. Corn sounds great! Good to see you writing again. Oh, Bradley…I miss getting my corn like that from the Torrance Swap meet on Tuesdays and Saturdays. Since I no longer work in the area, I sadly am unable to obtain them…but you live close enough. While you are there try the pupusas. Actually, he slathered a generous helping of mayo, covered it in parmesan cheese, squeezed a bunch of butter, then added red peppers. If any of you are on a low fat or vegitarian diet, this concoction is not for you. You'll gain weight just thinking about it!And here y'all thought that you'd need an angioplasty after eating a bucket of the Colonel's finest fried chicken.